I was at the Alltypes show at Bodelwyddan Castle last weekend, there early as I was on a club stand and I was watching an enclosed transporter pull up in front of the Club Audi stand, thinking “someone must have too much time on their hands” my jaw hit the floor when this rolled out of the back. 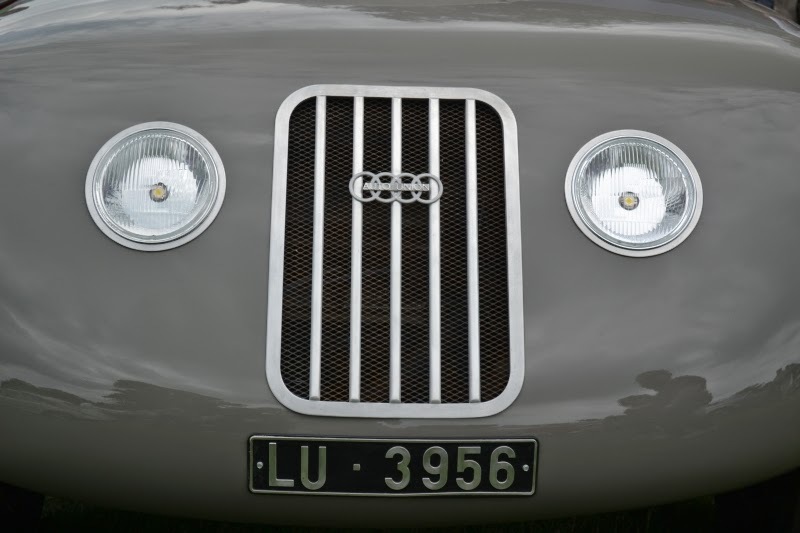 The Audi 1923 Jaray “Ugly Duckling” recreation you know the one from the recent TV advert, it was on load from Audi UK and what a scoop to have on your club stand. 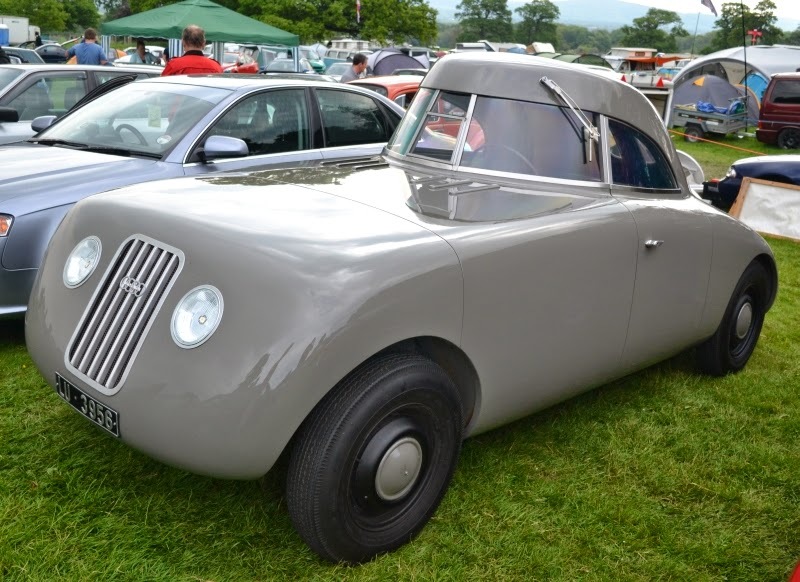 Designed by Paul Jaray an Hungarian engineer who not only worked on the aerodynamics of airships but also strived to bring the streamlined efficiency to the car industry of the 1930’s. Even filing a patent for a streamlined styled body. After setting up a design studio an coach building works he created designs for Chrysler, Mercedes, Ford, Maybach to name a few and obviously this one for Audi. Unfortunately it was way too ahead of its time in the styling stakes and it didn’t make production. For more info on his history head over to OctaneMagazines article. 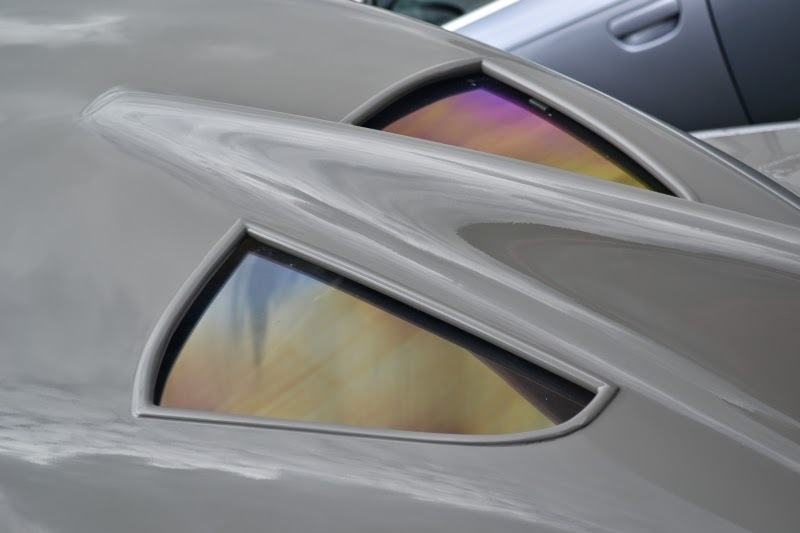 Although this is a recreation you wouldn’t think it, the attention to detail is astonishing from the rivet bumps under the paint, to the curved glass and that streamlined rear. It’s also larger than you’d think standing nearly 6’ tall. That single, slighted off set seat also looks like it came straight out of a plane and its proudly shown Auto Union badge on the front. It was a pleasure to walk round when it was quiet before it was besotted with petrol heads also wanting to take it in.